Are you ready to book Louisville? 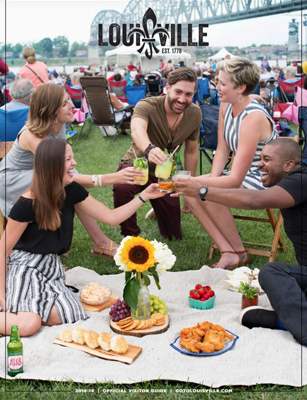 You’re invited to get a Taste of Louisville in June 2019! We have designed a 24-hour “bite-sized” itinerary for you to sample Louisville’s reignited meeting experience. 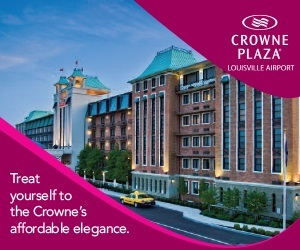 You are sure to leave Louisville full and full of inspiration for your next meeting. Start your visit with an exclusive tasting experience of America’s native spirit followed by a bourbon-inspired Southern supper at Rabbit Hole Distillery. Join us at the newly renovated and expanded Kentucky International Convention Center for a Louisville city presentation highlighting the downtown hotel package, attractions and airport/lift updates, followed by tour. Quick stop at the Louisville Visitors Center and group picture with Colonel Sanders! Exclusive chef’s table lunch experience at Volare with local celebrity chef and farmer, Joshua Moore, winner of Food Network’s “Chopped”. Cocktail class at Bourbon Barrel Foods, followed by shopping at the eclectic Work the Metal. Head to the Kentucky Derby Museum for a brief tour and Louisville Services Team meet & greet. Return to the airport relaxed and ready to bring your group to Louisville on your next trip! Snacks and refreshments will be provided at the airport’s Urban Bourbon Trail stop, Book & Bourbon. Eligible invitees include decision makers responsible for placement of groups utilizing 800 or more rooms on peak.